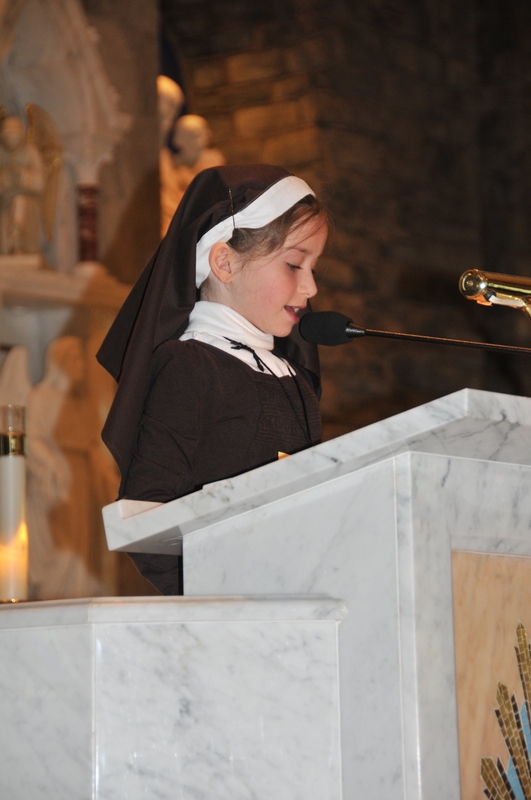 Throughout the school year, the 7th graders have been writing to St. Pat parish shut-ins. 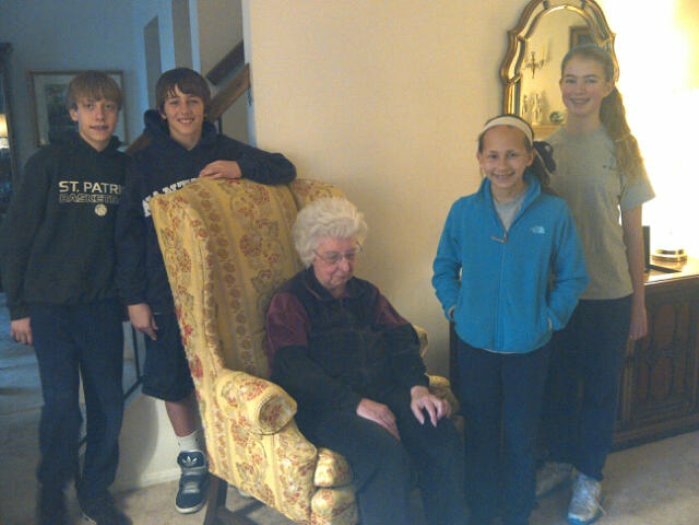 Today, instead of a class party, the students and some parents went to visit their parish friend for the first time. They brought some gifts and homemade apple pies and spent time talking and listening to each other. The students were so happy to put a face on a name and are looking forward to visiting again at Christmas time to sing carols and share favorite Christmas memories. Today they found out who really likes candy, who has a professional ballerina as a granddaughter, and even a woman who loves to watch basketball! What was so meaningful to me was seeing the sheer joy on the students’ faces as they return from their visits. 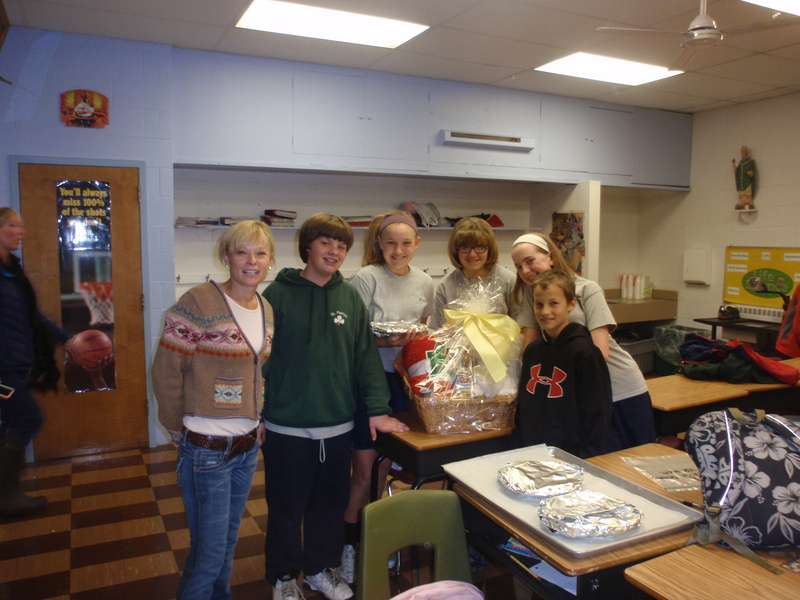 They were happy and excited to have had this opportunity – today, they experienced the real meaning of giving! Way to go 7th graders! We are proud of you! Go Warriors! A wonderful visit with our parish friends! Students asked live questions of the scientists! 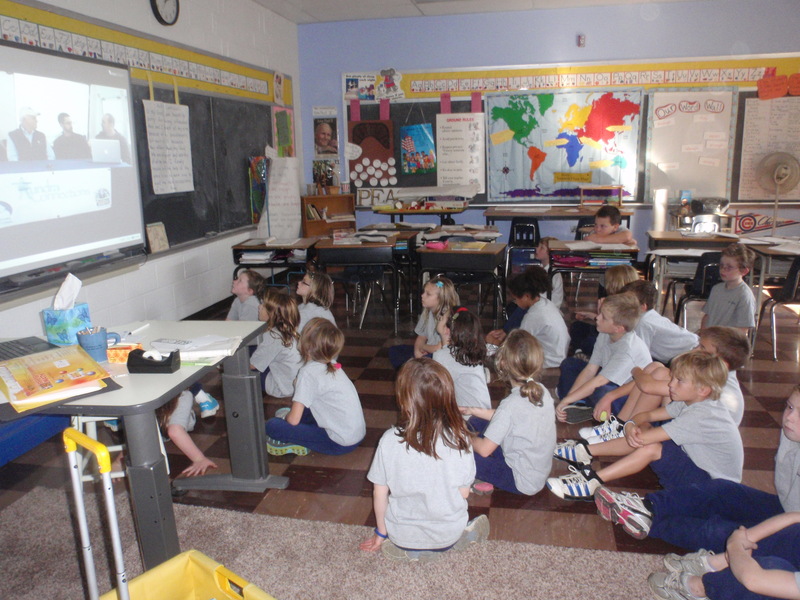 This past week some of our classes participated in a few virtual learning experiences. They interacted with scientists who were exploring the Tundra and learning more about polar bears and the Great White Sharks. 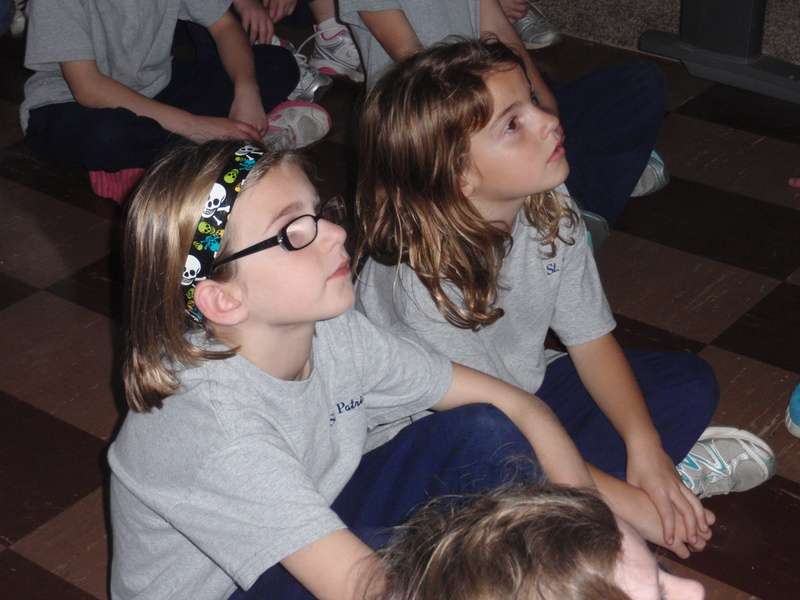 Our students could see live feed of the polar bears and sharks and were able to ask questions in real time. There were over 50 schools that participated in this fun learning activity and we are hoping to be able to learn more from experts as well as our peers in these virtual classrooms. The walls of our classrooms are breaking down and we are able to extend learning beyond our building – that is cool! 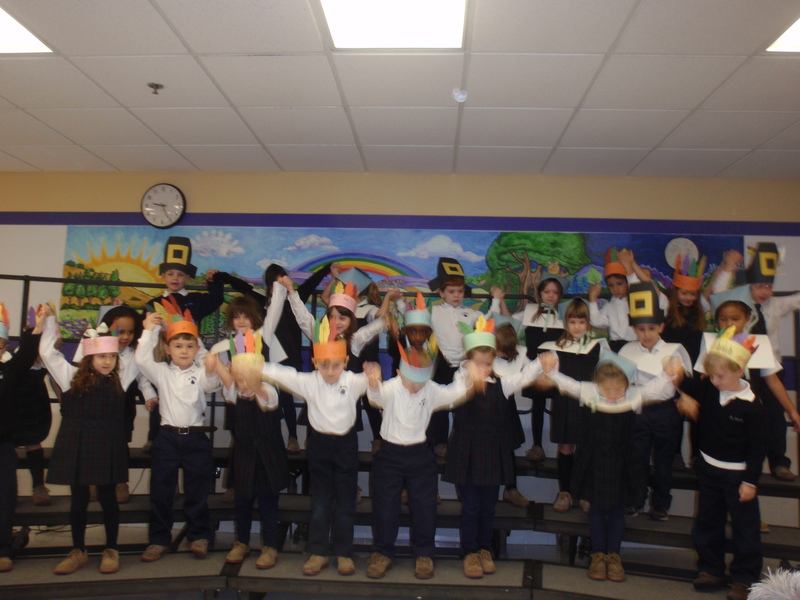 St. Pat’s Kindergarten classes have been working hard since the beginning of the school year. 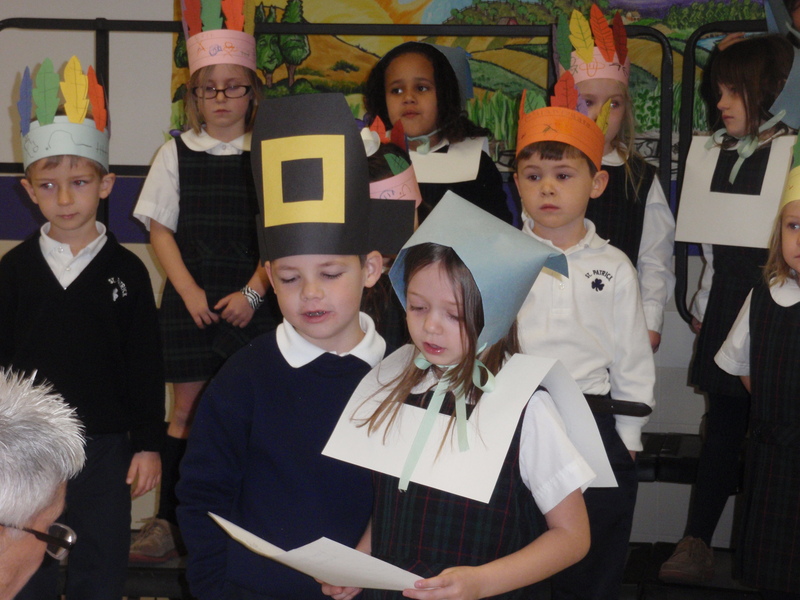 Today they shared many songs, readings and poems to help us prepare for our Thanksgiving celebrations. 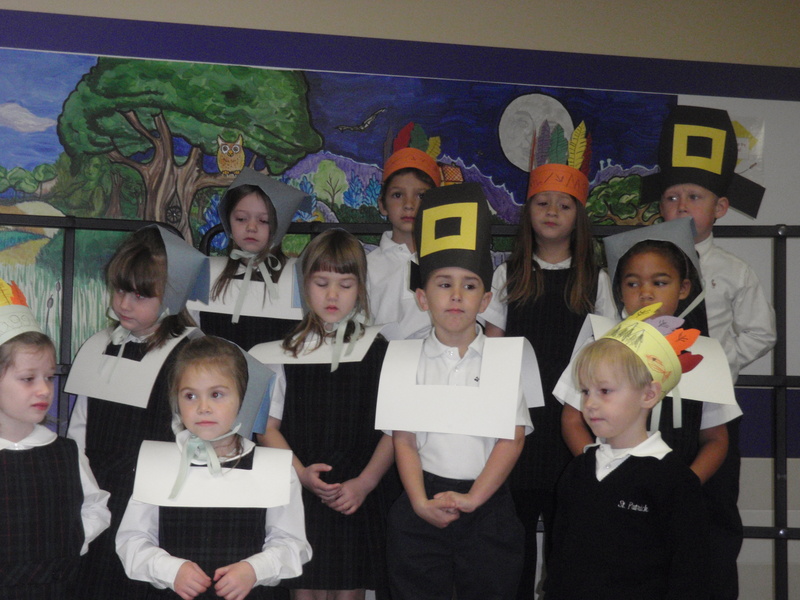 We had Pilgrims and Indians leading our prayer. They made sure they thanked God for their families, friends, and school. They also asked God to watch over all those people who do not have enough to eat. 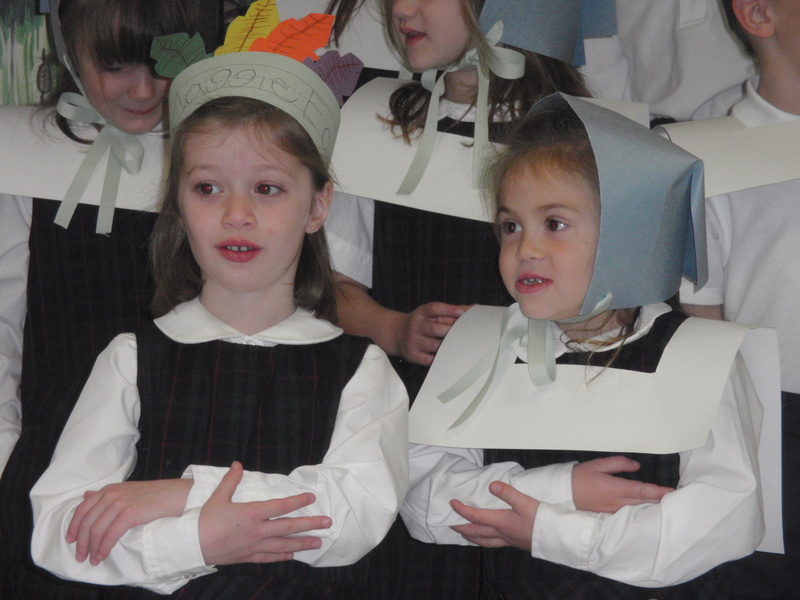 Thank you, Kindergarten, for all your hard work and for sharing your many talents with us! We Love Our New Recess Equipment! Fr. 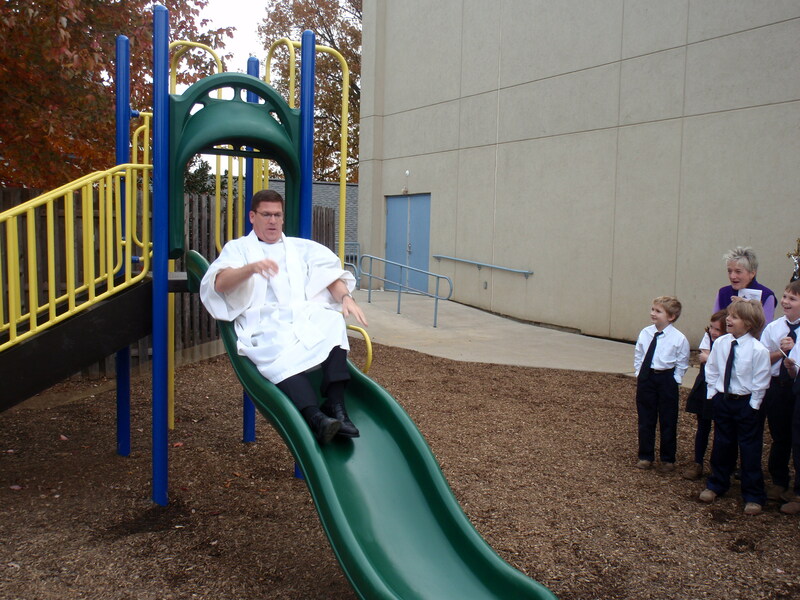 Redcay is the 1st down the slide! 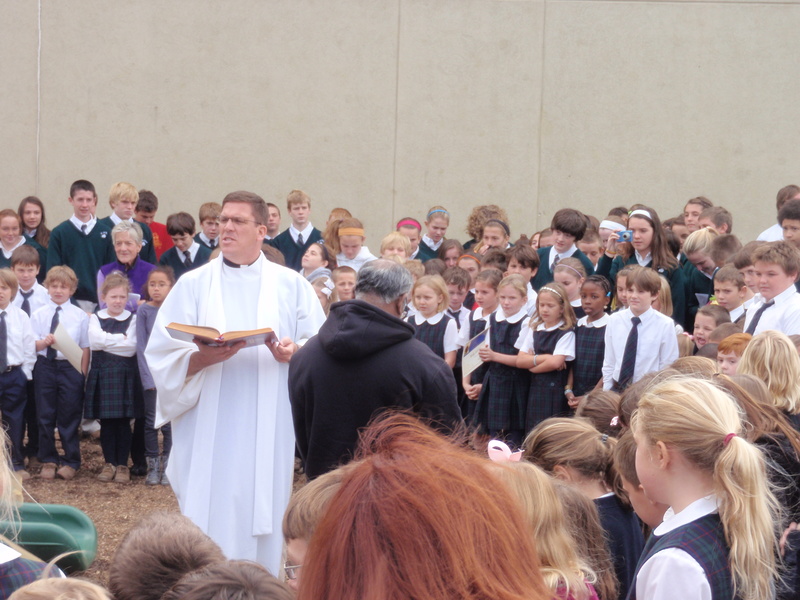 There was a ton of excitement as we blessed our new playground! 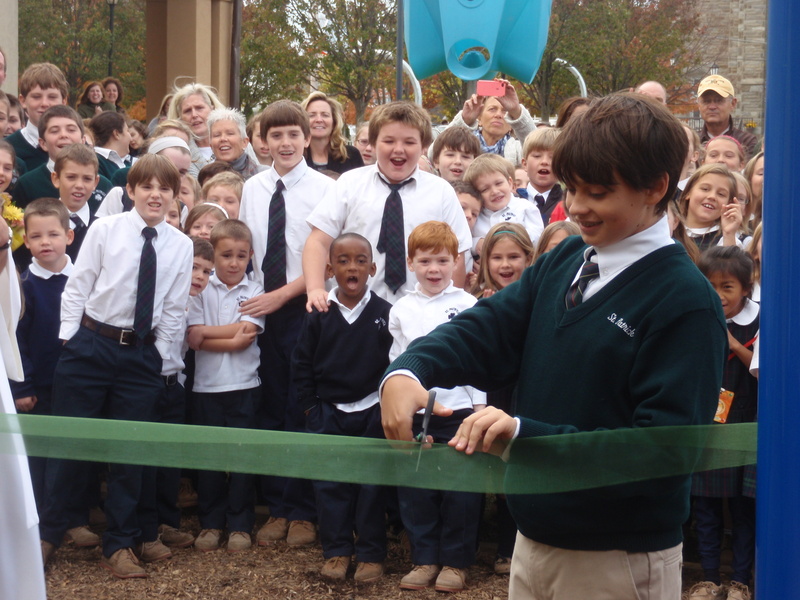 The students and faculty alike cheered and clapped as the ribbon was cut and the fun could begin! 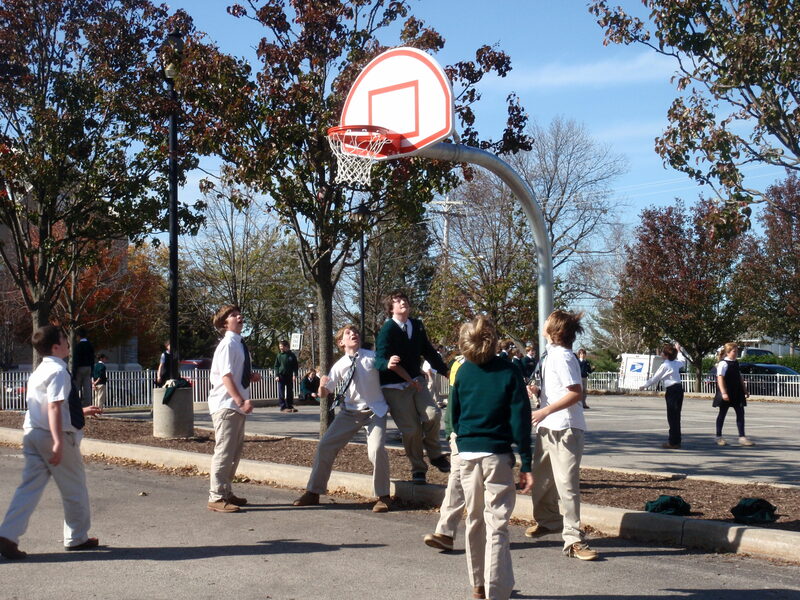 We love the basketball nets and there have been some great games taking place at recess and lunch time! How did we get here so fast? 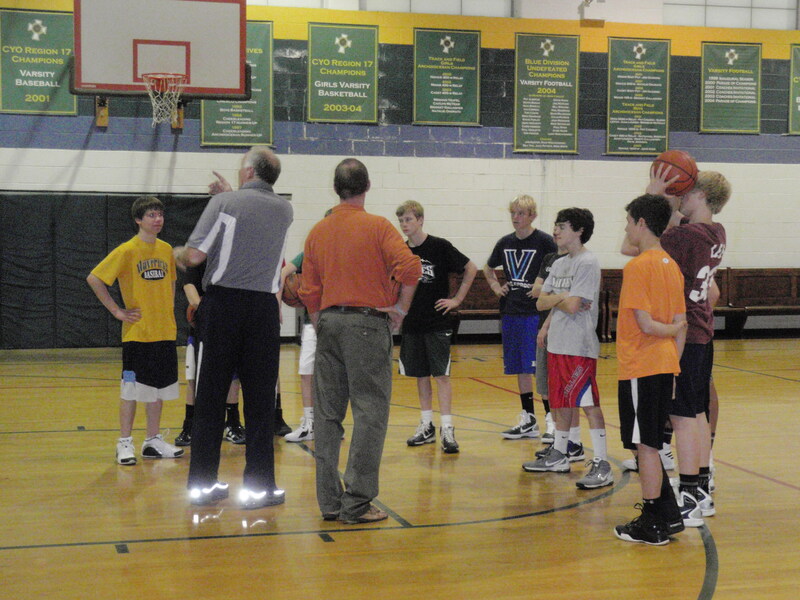 It is already the beginning of November – CYO football season is winding down and basketball is in full swing! We look forward to some get competition, but above all, St. Pat Warriors pride themselves on sportsmanship! 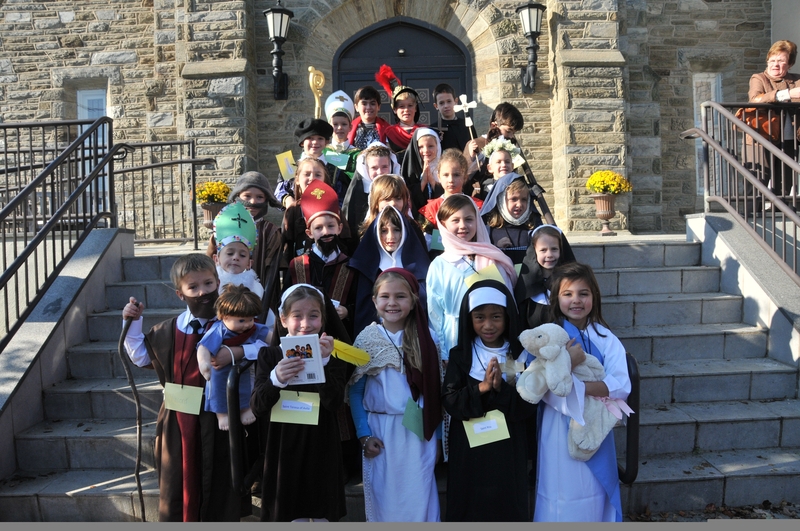 Our 1st graders did a wonderful job planning out All Saints Day liturgy. 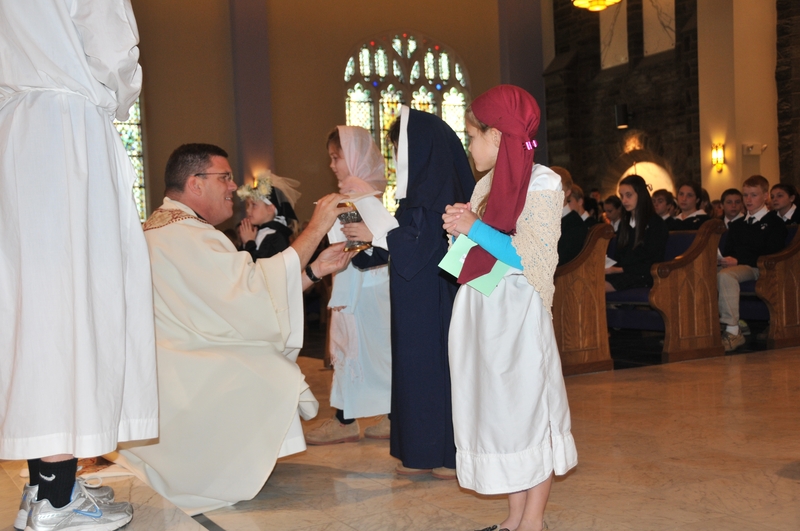 They handed out the programs, wrote the intercessions, read, presented the gifts, told us about their saints and then processed throughout the church so everyone could appreciate their saint and costume. Way to go 1st grade! 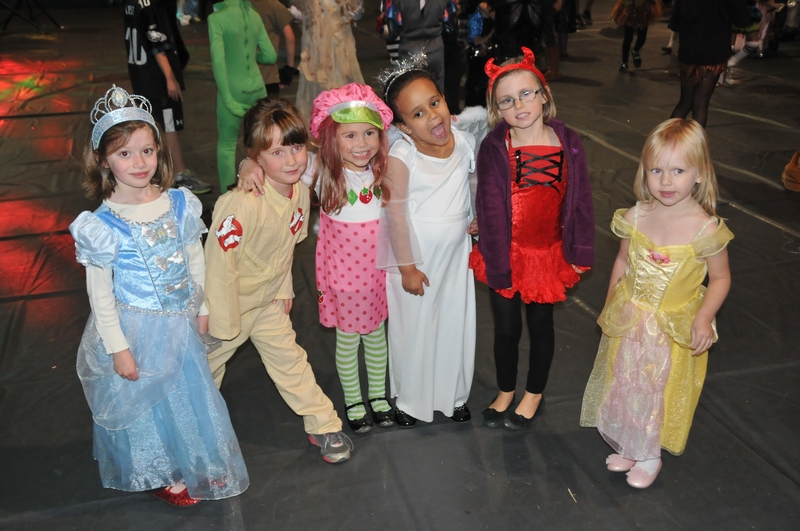 Teachers and students alike had a lot of fun celebrating Halloween at St. Pat’s! 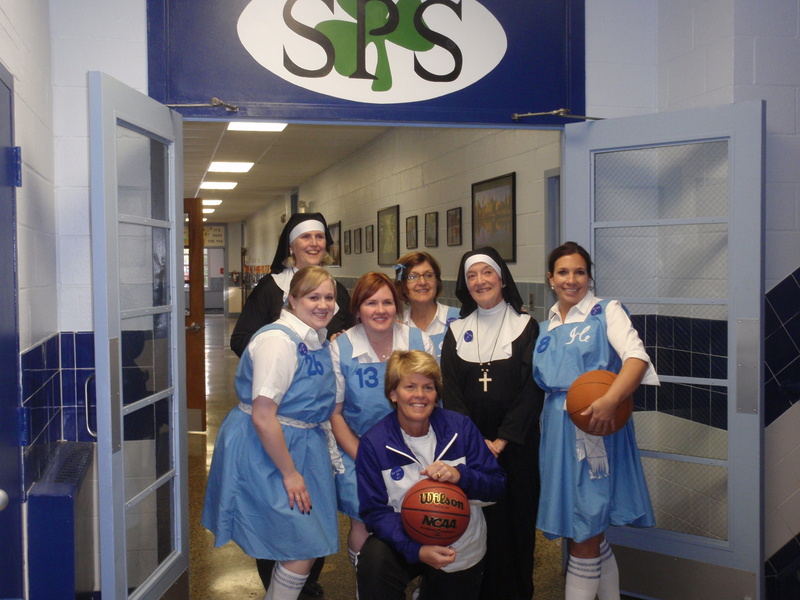 Some of the teachers dress up as The Mighty Macs, cats, witches and even iPods! 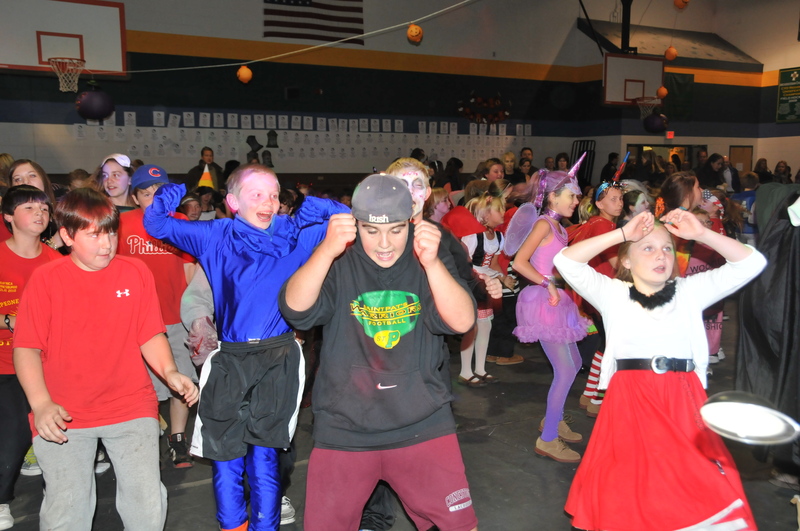 Students had a blast at the Halloween party that was planned and hosted by the Home and School. Another wonderful day here at St. Patrick’s! How cute is this?rick School! Dancing fun at Halloween Party!